Japanese Apothecary Shop Mannequin, originally uploaded by Curious Expeditions. 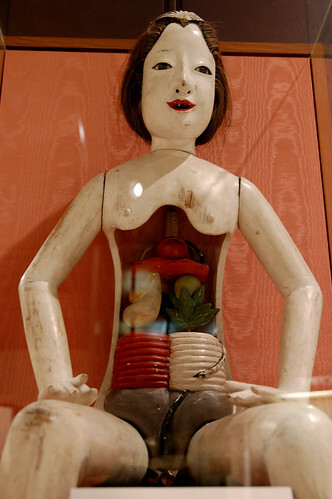 During the 17th and 18th centuries when traditional Japanese physicians attempted to deduce the workings of the body from outward appearances in accordance with Asian traditional medical beliefs and practices, they used mannequins to explain to patients the effects of medicines. This model depicts anatomy along the lines of a flow chart rather than a literal representation of different organs. “Hollow” (yang) organs were the gall bladder, stomach, large intestine, small intestine, bladder, and “triple burning or heating system” that regulated the flow of energy through the body. More “solid” (yin) organs were the heart, lung, liver, spleen, and kidney. Have you seen one of these before? 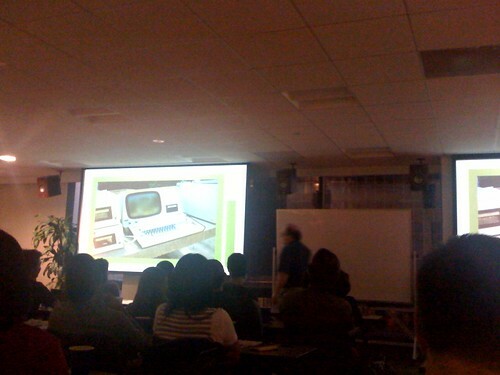 @jmspool tells us about a Wang Word Processor, originally uploaded by !!! :: jozjozjoz :: !!!. Jared Spool is in front of the white board. 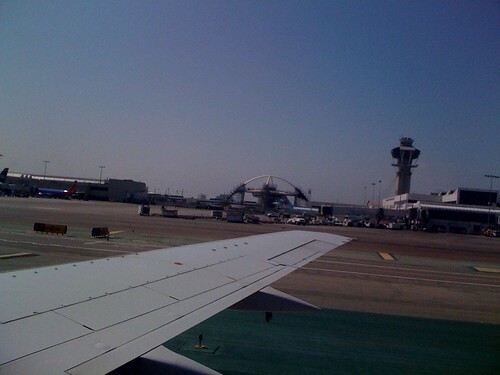 Just landed at LAX, originally uploaded by !!! :: jozjozjoz :: !!!. 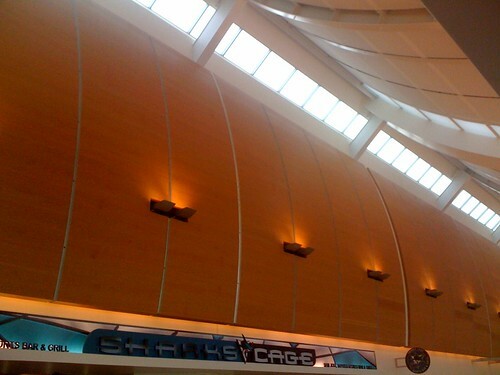 Sunday morning at the Shark’s Cage @ San Jose Intl Airport, originally uploaded by !!! :: jozjozjoz :: !!!. Thanks for Yoshi for bringing me to the airport so early! 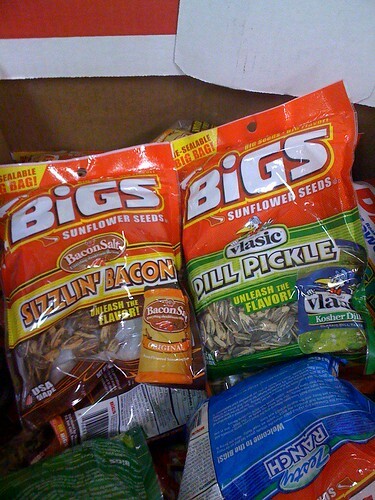 Bigs Sizzlin’ Bacon and Dill Pickle flavored sunflower seeds, originally uploaded by !!! :: jozjozjoz :: !!!. Seen at Petro Travel Center around midnight. This crazy hot pink rhinestone encrusted blazer was following me around the store. 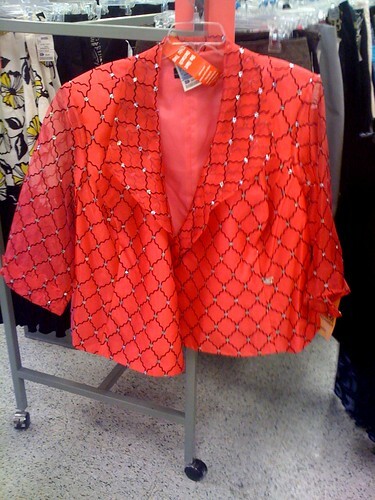 This crazy hot pink rhinestone encrusted blazer was following me around the store., originally uploaded by !!! :: jozjozjoz :: !!!. pack nice clothes for an event this weekend. 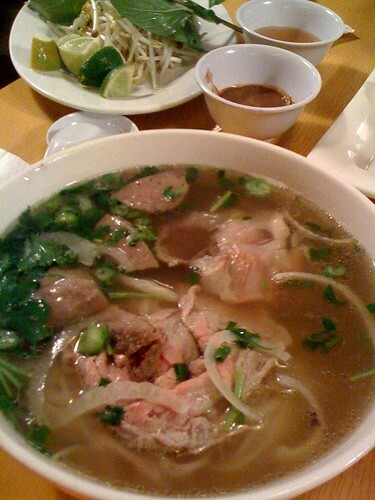 Combo pho: rare brisket, tripe and meatballs, originally uploaded by !!! :: jozjozjoz :: !!!. Obligatory soybean sprouts and other veggies are awaiting! 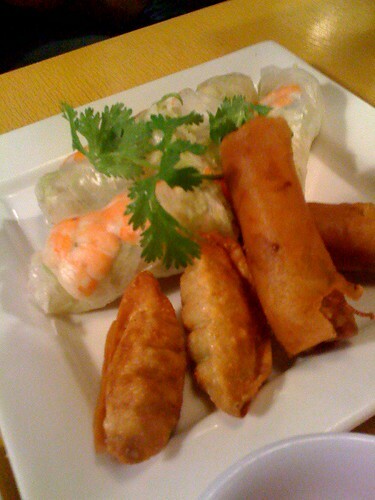 Egg rolls, dumplings and spring rolls at Pho Citi, originally uploaded by !!! :: jozjozjoz :: !!!. JozÂ³ & Burns! @ Blogger Prom! Thanks to my #bloggerprom date @MykalBurns for a great night! 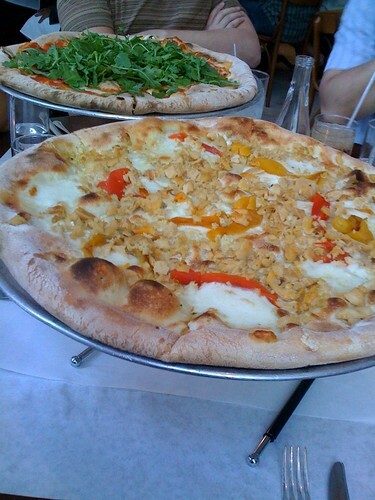 Thx @slackmistress for the photo! KISS, originally uploaded by Burns!. 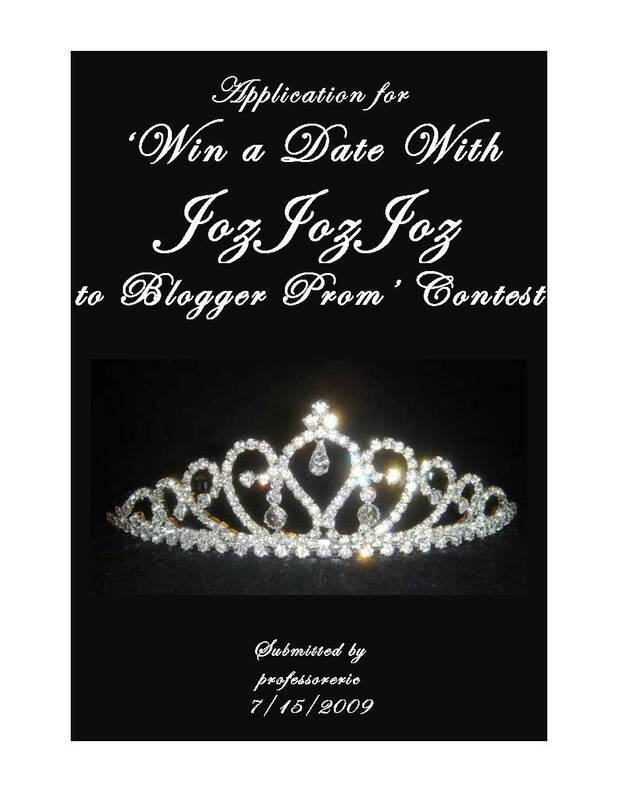 Congrats to @MykalBurns for being the only person to follow the directions in the Win A Date with jozjozjoz to the Blogger Prom Contest! Although there were several interesting entries to the contest, including Professor Eric’s photo entry, plus various inquiries via email, twitter, and IM… Burns wins for not only being the first entrant (yay for the early bird! ), but also for being the only one who didn’t get disqualified for not complying with the official contest rules. Sorry I couldn’t take everyone, but I know Burns will be an awesome Prom Date! Chorus of grandmas and grandpas did a costume change! 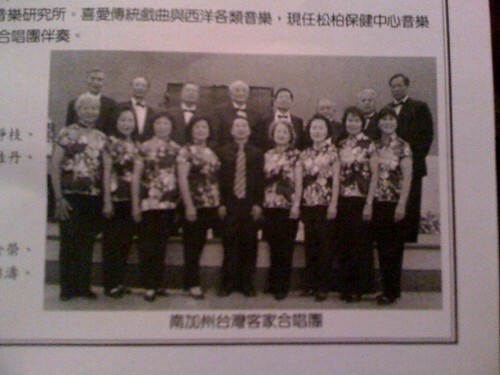 Chorus of grandmas and grandpas did a costume change!, originally uploaded by !!! :: jozjozjoz :: !!!. They’re getting hoots and hollers from the audience! Someone yelled "grandpa is so handsome!" in Taiwanese. 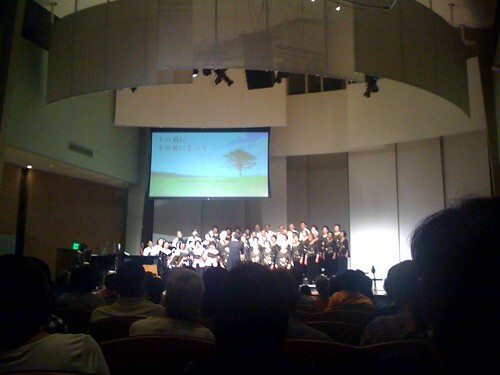 The Southern California Taiwanese Hakka Choral Group, originally uploaded by !!! :: jozjozjoz :: !!!. One of the lovely ladies in this photos is my Mom! 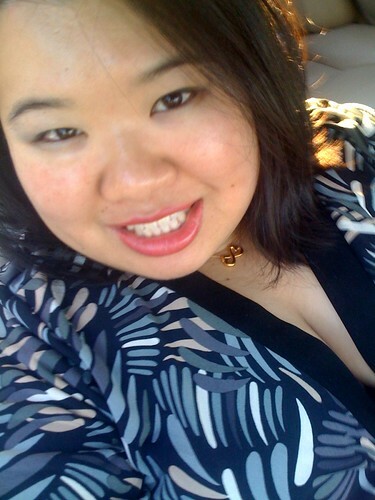 On the way to see my Mom perform in a Hakka choral concert, originally uploaded by !!! :: jozjozjoz :: !!!. I’m so proud of my Mommy! In the car, passenger seat. Yoshi’s driving. 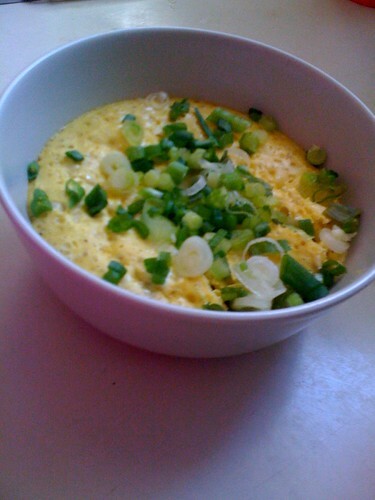 Today’s food experiment: chawanmushi, originally uploaded by !!! :: jozjozjoz :: !!!. I can’t say it was a success but it wasn’t a total fail either. 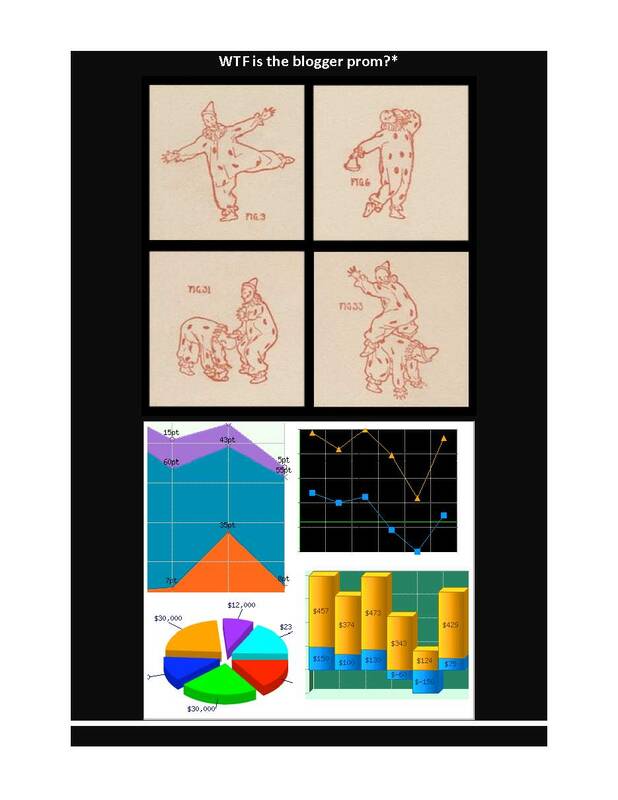 Published on July 17, 2009 in :: professoreric post :: and General. 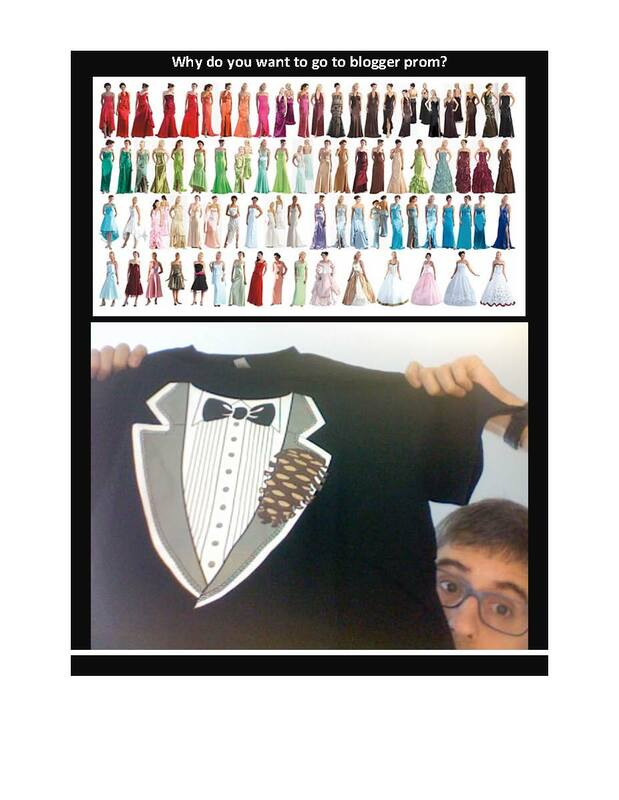 5 Comments Tags: 1000 words, Blogger Prom, Contest, Date. I received this entry to the contest a couple of days ago, but am just now uploading it to the site. The contest closes tonight! Since you mentioned trouble with your attention span I have completed your application with way less than 100 literal words per question. However, since an image is worth a thousand, I may be disqualified. Please look over my application and let me know if I make the top tier. It is in pdf form so I could not post it myself. 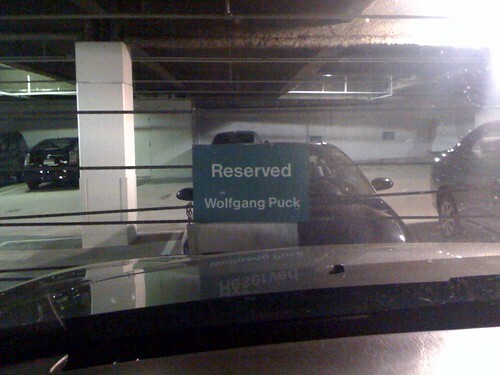 Parked in Wolfgang Puck’s reserved parking space, originally uploaded by !!! :: jozjozjoz :: !!!. 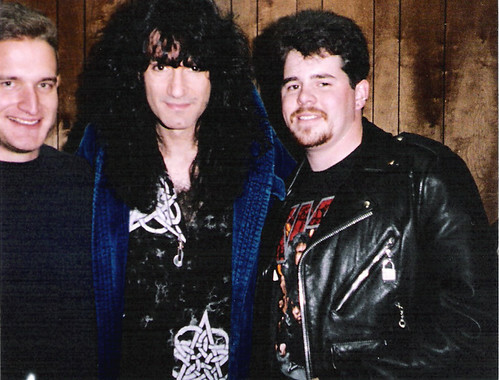 At a screening with Moye. The parking attendant told me it was ok to park there. 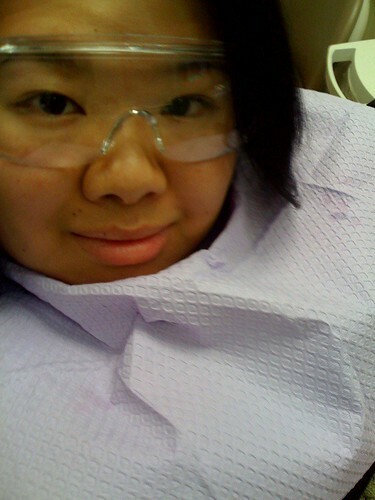 At the dentist’s waiting to get numb, originally uploaded by !!! :: jozjozjoz :: !!!. Trying to be a good patient. dental procedure even though I now believe in magic?" he asked me. Win a Date With Jozjozjoz! To The Blogger Prom! i’m supposed to devise some sort of contest to decide who takes joz to the blogger prom. ummm, got any ideas? and before you ask, no, joz hasn’t broken up with yoshi. joz and yoshi have been together for a really long time and joz has figured out that yoshi is much more pleasant when not forced to attend social functions with strangers. when the yoshi could be at home, watching baseball and drinking beer. yoshi is anti-social. joz is whatever you’d call the opposite of anti-social. 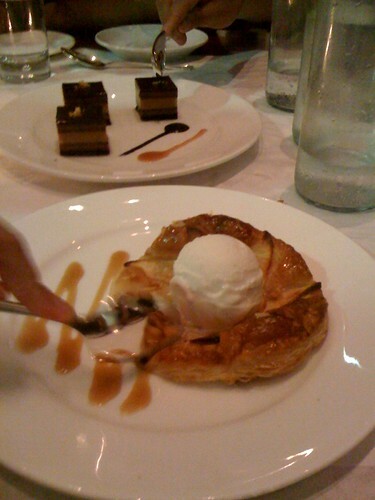 answer these questions: why do you want to go to blogger prom? why would anyone want to go to blogger prom? 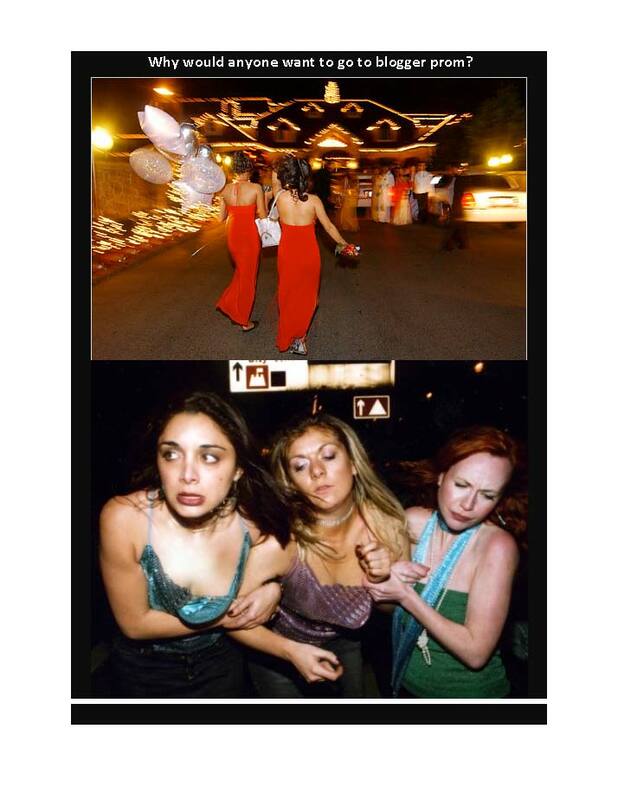 WTF is the blogger prom? 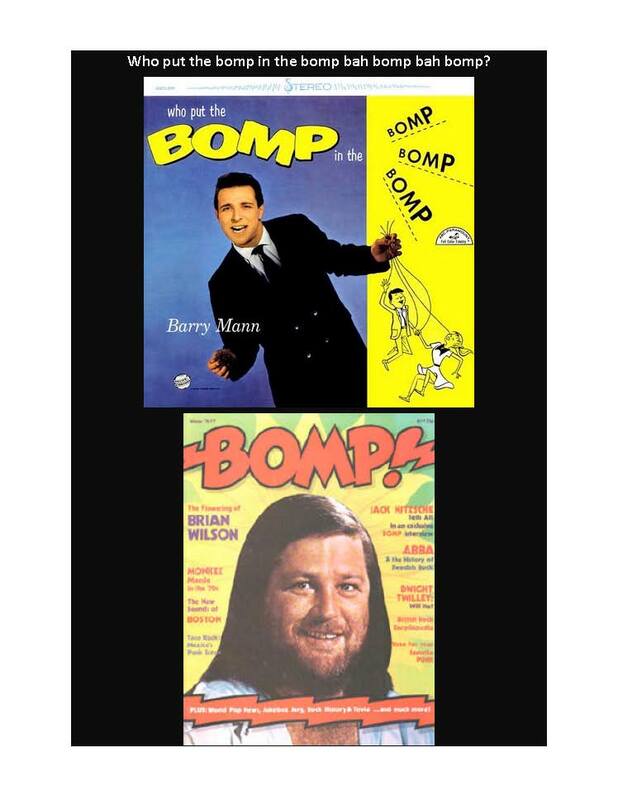 * Who put the bomp in the bomp bah bomp bah bomp? truly, this contest is going to be simple. tell me who you are, why you want to go (please, 100 words or less, joz’s attention span is rapidly declining thanks to twitter), and give me a new, creative, and inspiring tagline for jozjozjoz.com and you’re in–provided you pass a standard background check and pee in a cup. the winner will be notified by sometime saturday morning and given instructions on how to redeem their prize. *the exclusive invite-only Blogger Prom 2009, which takes place at the Andaz Hotel July 22, 2009. Free cocktails, delicious food, sweet giveaways, a gorgeous venue and only bloggers in kitschy, cool, weird prom attire. 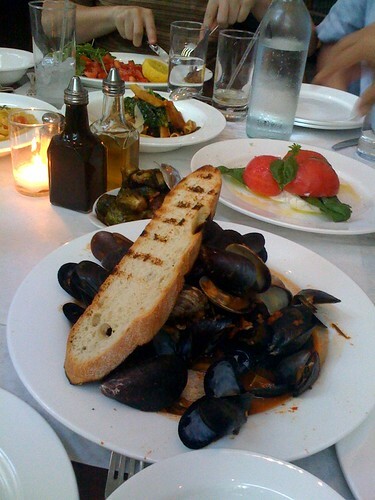 Published on July 12, 2009 in General. 0 Comments Tags: Michael Jackson. The death of Michael Jackson has unleashed a lot of craziness here in Los Angeles, as it has been the location of his death and memorial service, as well as “home base” for the Jackson Family (via their Encino compound). Indian fans resorted to the internet, news websites, blogs and foreign channels. Social Networking sites like Facebook, Orkut and Twitter soon became the destination for sharing and grieving. According to media reports, the SMS networks in India registered a significant rise in traffic after 4:30 am on Friday, Jun 26. Many Chinese were affected deeply as MJ’s passing signified the demise of the icon that exposed the China to the outside world. Many people in the U.S. don’t realize that the release of “Thriller” in the 1980s was one of the first times Western (American) pop music to make it into China. Maybe that’s why there are already investors in Shanghai who are already talking about building a small scale version of Neverland in China. I, for one, have no idea how long it would take me to come up with 130,000 words, so props to these guys for cranking it all out. Of course, there’s no saying how accurate or well-written this book is, but in today’s world of “instant information,” authors do have to move fast. “Instant Michael Jackson books” have already been released in the U.S., too. As for my personal memories of Michael Jackson music from my childhood? My parents were pretty strict about what kind of music we listened to (mostly classical music), but “Thriller” was so pervasive, even I managed to persuade an uncle into getting me a copy of the album. I think I can safely say this now, but my copy of “Thriller” was on cassette tape, obviously some sort of bootleg tape from Taiwan with the lyrics of the album poorly “translated” into Engrish inserted. I’m not certain, but I think this may partly explain why I never know the words to any songs. Shamone! The latest, and perhaps quite nuttiest, craze wafting through Facebook's pages involves taking pictures of yourself lying down in the oddest places possible. The jozjozjoz.com archives for July, 2009.